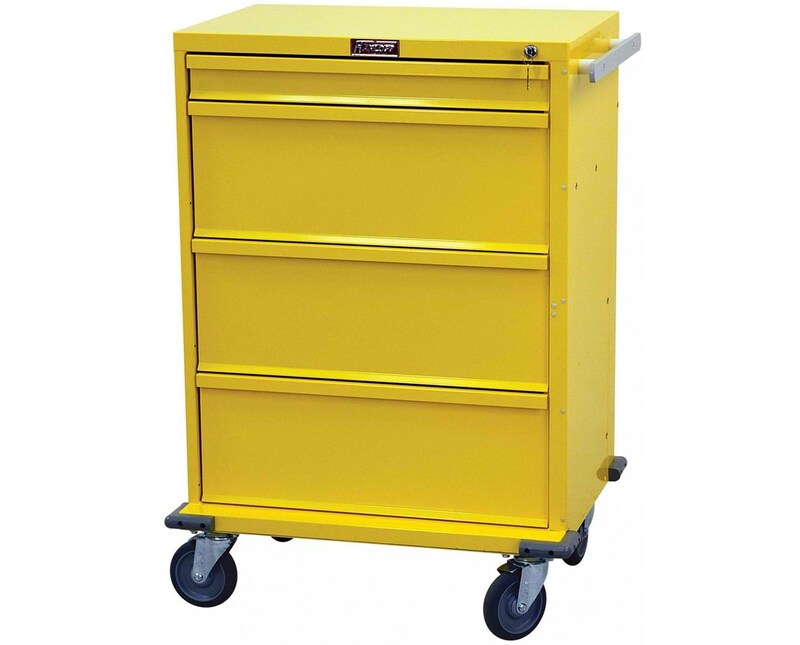 Harloff's V-Series Four Drawer Isolation Cart offers the high level of quality Harloff is known for at a value price. 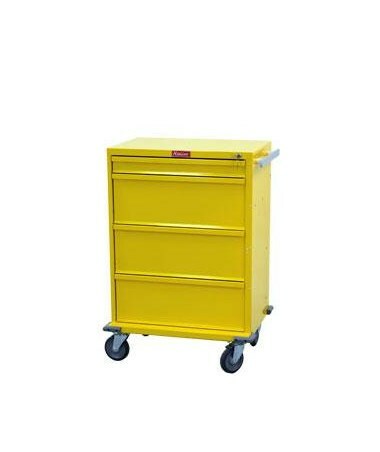 Perfect for treatment, procedure and isolation applications, it features steel construction and a durable, hard-baked powder coat finish available in 16 colors. 30" of vertical drawer space contains four drawers: 1 3" and 3 9". 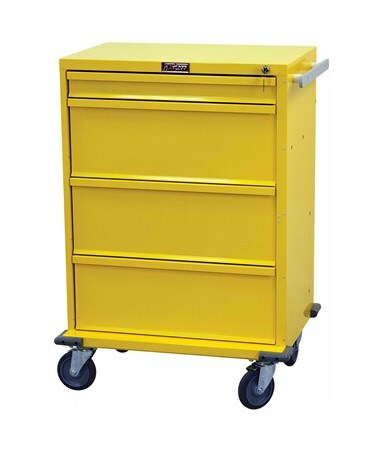 All drawers feature an integrated pull handle ease of operation. Ball-bearing full extension slides provide smooth opening and closing. This latex-free cart arrives fully assembled. Choose your color (as seen in this chart) from the drop down menu above and order online direct by clicking "add to cart!"